According to Beck’s “risk society” theory, local and global dynamics are interconnected, each contributing to frame new social, environmental and political risks in future scenarios. 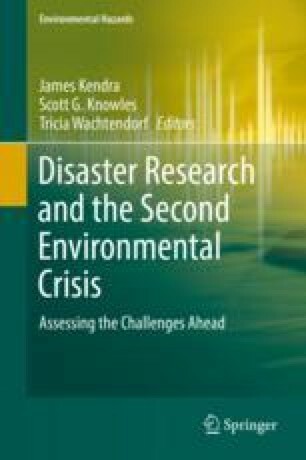 In this context, actors on the local scale have an active role in the production of changes and they are also extremely sensitive to the consequences of global phenomena (Wilbanks and Kates, Clim Change 43(3):601–628, 1999). Thus, as Wilbanks and Kates state (Clim Change 43(3):601–628, 1999), the study of global dynamics would present relevant benefits from giving more emphasis to the bottom-up perspectives and to the scale analysis. A bottom-up approach of place interpretation is here presented as a potential inclusive and democratizing approach. In particular, this chapter argues for a democratization of resilience policies, adopting landscape experience.